There is no lack of budget bluetooth earphones on the market today. I’ve cycled though headphones, earphones, earbud, wired and wireless. They all have their pros and cons. But generally they are very similar, with only slight differences. Today I’m taking a look at a pair from SoundPEATS. 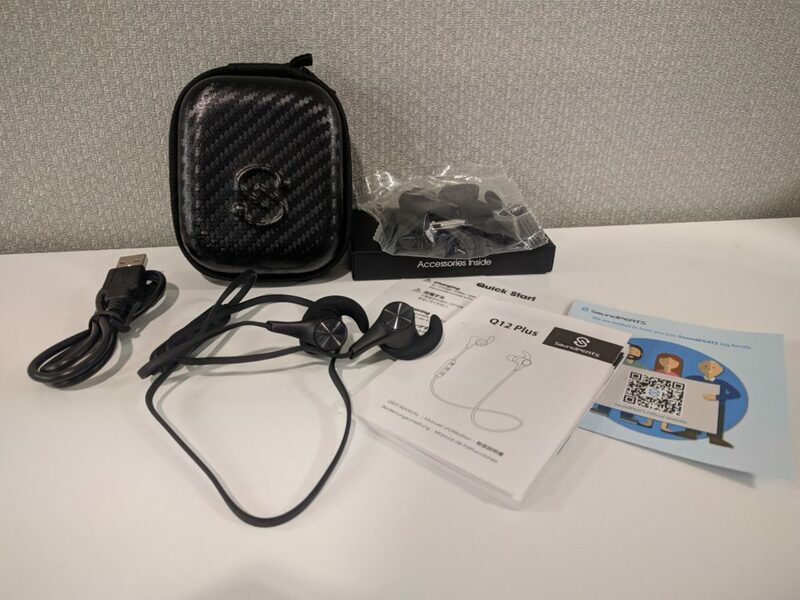 That name SoundPEATS can be found on a number of budget friendly, portable audio devices. I’ve had the chance to review a few of these devices that fall under this name and have proven a decent experience in sound. 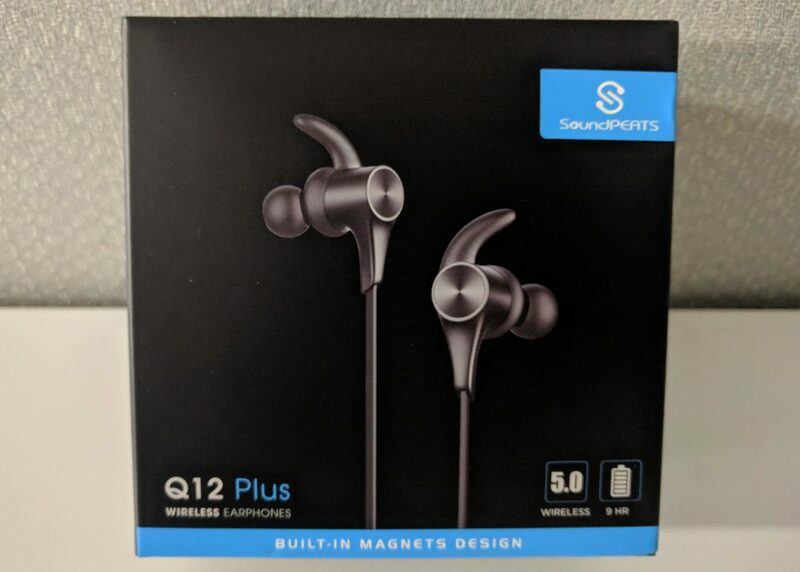 Today’s device is a pair of SoundPEATS Q12 Plus earphones. I opened the box to find a nice little organized package. This is an upgraded version of the Q12, that, from my experience the last couple weeks has proven to offer better sound quality. Proving more impressive over previous earphones from SoundPEATS in the same category. The product boasts a number of “upgraded” features. Such as an upgraded chipset, quality sound utilizing a 10mm driver. Longer playtime from a stronger battery and more efficient Bluetooth 5.0, and a upgraded water resistant rating of IPX6. The Q12 Plus earphones have been working well for me the last couple of weeks. When I first opened the box it was nice to see the various earhook sizes. I found the pair that worked for me, and immediately got connected. Briefly concerning the earhooks, these are probably the most comfortable I’ve used. The material is soft, yet firmly hold the earbuds in place. I charged the earphones for a bit. They were about at a full charge already. Once the light was blue, telling me they were full charged, I put on the earphones. Then commenced with the standard long press to pair them with my desktop pc (I use a 3rd party bluetooth USB adapter). They connected very quickly, using a female voice to notify pairing is complete. 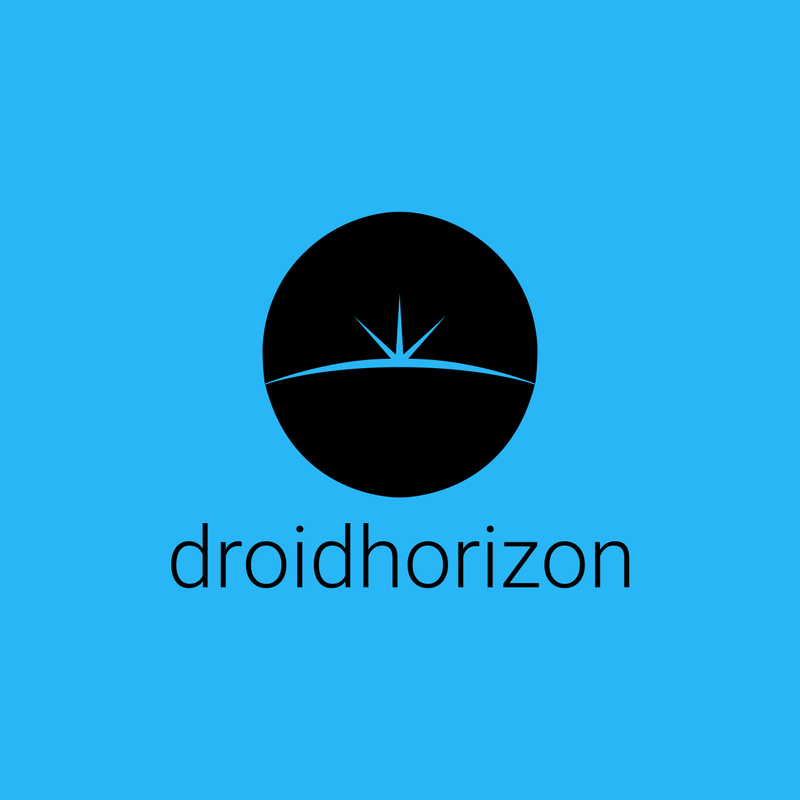 I started playing my usual tunes from Google Play Music. Immediately, I noticed the bass. I could feel the bass much more that some previous earphones, of a similar quality. Along with the bass, clarity of the highs and vocals were obvious. Not overly tinny. The highs and lows seem to mesh well throughout the various songs I listened to. The Q12 Plus earphones have been lasting a full 8hr day of work and then some. All the inline controls work as they should. In-call quality was decent over WiFi calling, and the other party on the phone could hear me clearly without issue. The simple inline controls sit just below the right earbud, easy to locate and control. 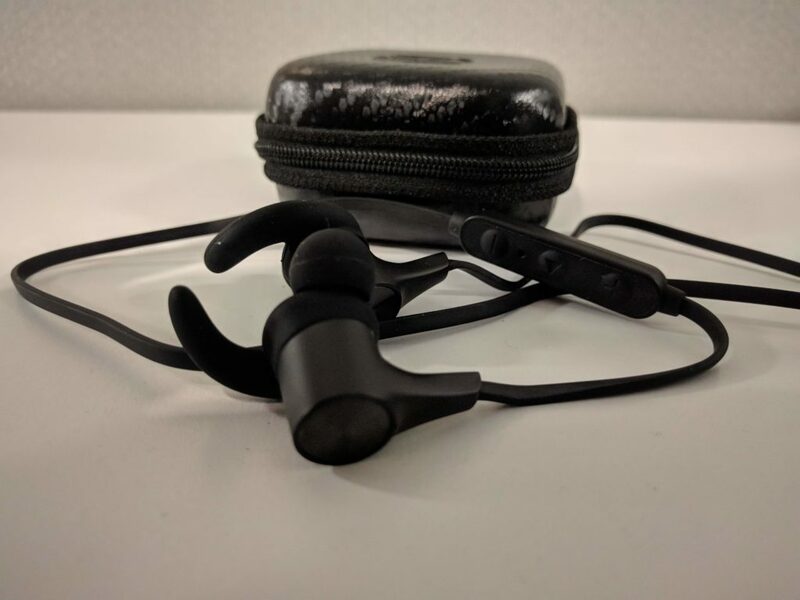 Overall, I would definitely recommend the SoundPEATS Q12 Plus Bluetooth 5.0 Earphones. They are certainly with-in an attainable range for anyone on a budget, at $30. For the price, and quality I experienced, I feel these are a pair worth serious consideration if you are in the market for new earphones. So give yourself something nice for once, and treat your ears to some sweet, sweet melodies. Nice review. And I agree with you! I have these, too (just got them this weekend), and they’re blowing me away so far! That bass hits HARD! Fortunately, my phone has a global EQ, so I can scale it back if I need to. But I’d rather have the bass & not need it, than to need it & not have it! I’m happy with the highs & mids, too. In fact, I would say that the sound on these is good enough to rival headphones many times more expensive. So, yeah: I like the SOUND. Unfortunately, they still suffer from the same stuttering that my SoundPEATS Q34’s suffered from when outdoors on a busy city street. I had high hopes that Bluetooth 5 would help this, but unfortunately, I’ve had no such luck. I’m not sure what to do to fix this. For the moment, these will be designated as my “At the Gym” headphones, but they offer a very satisfying listen. Despite the stuttering connectivity, these are still a steal at $30. Thanks for letting us known your thoughts, Ordinary Geek. Much appreciated.